June 10, 2019. 9:00 a.m.
June 14, 2019. 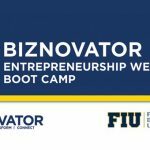 4:00 p.m.
Our BIZNOVATOR Innovation Camp uses a proven youth entrepreneurship experiential learning model that includes Innovation, Creativity, Artificial Intelligence (AI), Design Thinking and Technology. 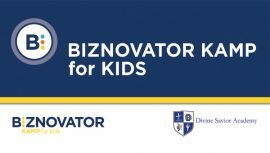 BIZNOVATOR Innovation Camp integrates an exciting and challenging curriculum that helps prepare and create mindful youth entrepreneurs and innovators. 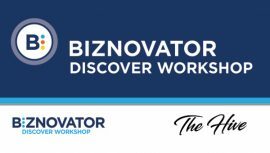 Our BIZNOVATOR Innovation Camp includes a series of rich and engaging activities, such as case studies, e-learning activities, lectures, tours, team dynamics and 1 to 1 coaching. All participants work on identifying a problem or a void in their community. Either as an individual start-up or partnership, students learn how to assess the strengths, skills and passions that can be transferred into innovation and entrepreneurial opportunities. In this week-long camp, students experience learning and exploration like never before! They’ll arrive with curiosities to take on real-time issues…generate entrepreneurial ideas and create a business plan that they’ll pitch to investors. After the BIZNOVATOR Innovation Camp experience, participants return home a BIZNOVATOR (a young, selfdriven, entrepreneurial thinker that introduces new methods, ideas, products or solutions for economic and social good). 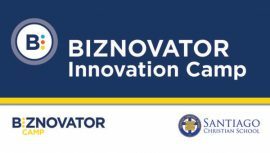 Join us for the BIZNOVATOR Innovation Camp at Santiago Christian School, Santiago, Dominican Republic. The Time is Now!